Chalice and Acolyte: Ted F.
Saturday, December 8, 2:00 p.m. – Magic Show! During Advent we will be studying The Way of Love, Practices for Jesus-Centered Life. Our Presiding Bishop Michael Curry invites all Episcopalians to Journey the Way of Love together, exploring how we can grow more centered in Jesus and share his loving, liberating, and life-giving way in the world. Please join us on Sundays at 9:00 during December to take part in this church-wide movement! CHRISTMAS FLOWERS -- Please consider making a donation in memory of a loved one for the Christmas Eve service. The names will be printed in the bulletin. A sign-up sheet is available in the Undercroft. The next distribution will be Sunday, December 16, 12 Noon to 1 PM, at the Harbor House. Magic Show: Alan Drew, local Magician, will present a magic show at St. John's on Saturday, December 8 at 2:00 p.m. to benefit the Westside Food Pantry Backpack Program. Young and Old are invited to enjoy the Magic! 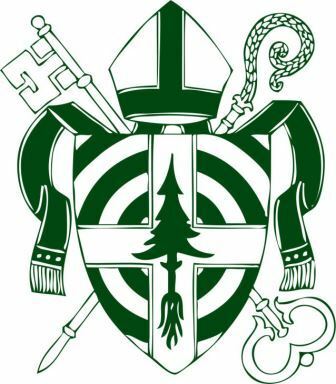 Special Convention to Elect the Tenth Bishop of Maine: Official notice is hereby given, in accordance with Canon Six, Section I, of the Canons of the Diocese of Maine, that a Special Electing Convention of the Diocese will assemble, God willing, at the Cross Center, Bangor on Saturday, February 9, 2019. St. John's representatives will be Pamela Smith and Ted Fletcher. Information and updates will be available on our website: episcopalmaine.org/convention/2019. I urge you to check the website and The Dio Log regularly for updated and new information. The Diocese of Maine has published our Diocesan Profile at http://bishopquest.episcopalmaine.org/timeline/profile/. This snapshot of our diocese has been made available across the church, and it is worth reading to see how we are presenting ourselves to potential candidates. The profile also includes a timeline of the process, culminating in an election in February and the consecration of the Tenth Bishop of Maine in June, 2019. COME TO THE MDI COFFEE HOUSE! Formerly known as Coffee's On, Island Connections has changed the name to encourage all ages to come for coffee, goodies, and conversation. Meeting at the YWCA on Mount Desert Street in Bar Harbor, December's gatherings are on December 11 and 18 from 9:30 to 11:30 a.m. (Usually on the first and third Thursdays, note December's change.) A new feature will be speakers once a month. Invite a friend to join you. Need a ride? Call Joan Bromage at 244-3227. Cassandra Crabtree, Sue Newman, Beth Pfeifer, Eric Lange, Dorothy Clunan, Anne DeGolyer, Jackie Mayhew, Jim Risser, Ray McDonald, Bill and Barbara Loveland, Win Short, and Bob Theriault.